There are a few names that baseball fans can cite when it comes to being the all-time baseball home run champs. However, it can really depend on where you live as a baseball fan whom you mention when you talk about all time home run records. In America, the name of Hank Aaron is likely to be mentioned with his impressive career baseball home run records. However, in Japan and throughout the world, the name on every baseball fan’s lips is Sadaharu Oh. 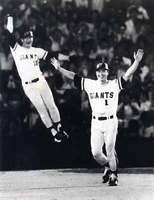 For those of you who may not know the same of Sadaharu Oh, here are some of the stats and information that show he qualifies as one of the all-time legends in baseball. Oh spent the entirety of his career with the Yomiuri Giants. He played from 1959 to 1980. Once he retired from baseball he became a manager and continues to manage, again racking up impressive stats. What really makes Oh the champ when it comes to his ability as a batter is the sheer number of home runs he notched while playing. When Oh retired he had a career batting average of .301. He also had a dazzling 868 home runs - a total number of homers that stands to this day and seems unlikely to be broken, according to many. He also has 2,786 hits and 2,170 RBI. He has appeared 11 times in the Japanese championship series. He was also a nine-time league MVP for the Japanese Central League. When Oh retired, it was only a matter of time before he ran into the other home run king - Hank Aron. Originally, the two men met to participate in a series of commercials, but when they started talking they both realized that they had goals when it came to charity. They both felt that allowing children around the world to participate in organized baseball and organized sports that it would benefit those who may be less fortunate. Before too long, the two legends had teamed up to create the World Children’s Baseball Fair http://www.wcbf.org or WCBF. The WCBF has become a world-wide and well respected charity organization. WCBF is entirely non-profit and was established in 1989. The goal is to foster understanding among cultures by hosting baseball events and tournaments featuring teams from around the world. The hope is that by competing in the games, the children who play learn to appreciate and understand the other children from around the world. By having a familiar field of healthy competition, the children learn that they are more alike that they are different and, perhaps, understand each other’s cultures. These days both Oh and Aaron work to generate interest and money for the organization. Every year they host another international event with teams from across the globe competing. By fostering and encouraging a love of baseball, and competition, they hope that children around the world learn what both Oh and Aaron have learned: that when the common language of baseball is spoken, cultures and communities can come together for good.